Ben Isaacs is a composer whose music is characterised by its limited gestural palette and preference for weak, unstable sounds, often occurring at extremes of instrumental register and quietude. He has recently written music for Quatuor Diotima, the Haynes/Ballon/Knoop trio, Kate Ledger, Séverine Ballon, Reiko Manabe and the Nieuw Ensemble, who premiered and darkness sweeps in like a hand at HCMF 2009. Current and future projects include pieces for pianist Sebastian Berweck and saxophonist Eleri Ann Evans. 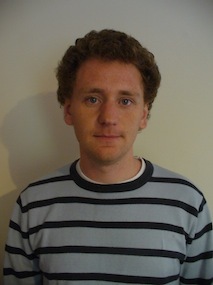 Ben studied at the university of Huddersfield with Aaron Cassidy and Bryn Harrison. An interview he gave to Ray Evanoff can be found in the first edition of the CeReNeM Journal.